The subtle red, almost pink, hue of this sink is sure to add a delicate pop of color to your bathroom decor, while the texture adds depth. The square shape of this sink is offset by the curved design of the faucet. 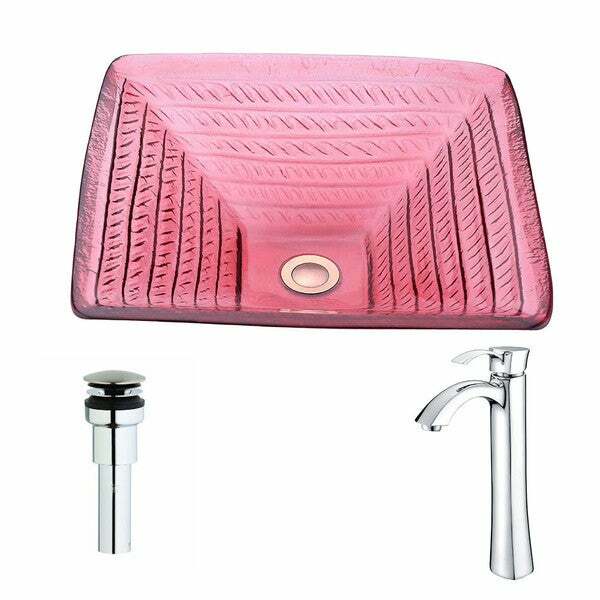 The smooth finish of the sink's interior and polished chrome faucet ensure they are easy to clean.